What is a Visa virtual credit card API? How does it work? In 2014, JP Morgan reports that 62 percent of businesses that were surveyed reported that they had been the victims of payment fraud. Of the payment fraud that occurred, 34 percent was committed using corporate debit or credit cards. Businesses that use cards to make payments online or over the phone might want to consider getting a Visa virtual credit card API. A Visa virtual credit card API is a service that developers can connect to and integrate with your applications. Once it is fully implemented, you can generate virtual Visa credit cards that can be used immediately. 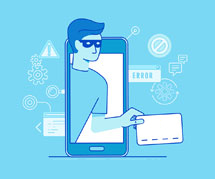 While the cards are linked to your original credit card, people are unable to use the numbers to steal funds or to trace the numbers back to your business. Who uses Visa virtual credit card APIs? Why do they use them? Businesses of all sizes use Visa virtual credit card APIs. 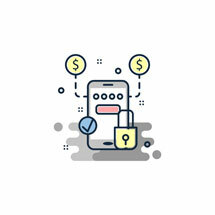 In addition to helping to prevent payment fraud, the API provides them with enhanced expense controls and allow the automation of different accounting workflows. Having the ability to automate processes can reduce errors caused by data entry mistakes and prevent bookkeeping staff from altering transaction records. Since the transaction data automatically imports into your accounting software, bookkeepers are prevented from making false entries. What are some real examples of where a business may use a Visa virtual credit card API? A business may use a Visa virtual credit card API to create cards to use in multiple ways. The company could assign numbers to high-volume suppliers. When a supplier sends reordered equipment, it could charge the cost of the order to the number that has been assigned to it. 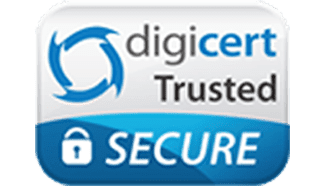 Another example of how a business could use a generated Visa virtual credit card is for regular travel for a department that frequently travels. The individual employees could use the assigned department virtual card to pay for their travel costs, and the department can restrict the card to travel costs only. 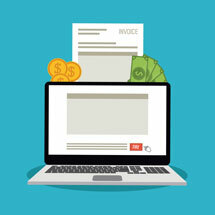 When can it be important to build custom expense management tools? Creating customized expense management tools is important because businesses can choose tools that fit the way in which they do business. They can incorporate their expense policies and shape their tools around them. Building expense management tools that are customized for a business can help to avoid overlooked leaks so that the controls can be tightly maintained. With strong expense management tools, you can quickly identify fraud and waste so that you can take corrective action. What are features you should expect from a Visa virtual credit card API? There are several features that you should expect from a Visa virtual credit card API. The Visa virtual credit card API should be easy to integrate with your applications. A Visa virtual credit card API should also allow you to create as many credit card numbers as you want instantly, and the cards should be ready to use in minutes. Finally, the best system should give you full functionality to be able to automate accounting tasks and to easily track expenses by the employee, by the department, or company-wide. A Visa virtual credit card API differs from a standard dashboard in a few important ways. While you can create Visa virtual credit and Visa virtual debit cards from your dashboard, it takes much longer to do. With your Visa virtual credit card API, you can create as many numbers as you want instantly. A good Visa virtual credit card API should also allow you to automate accounting tasks such as invoice processing and expense tracking. It should also let you automatically import the transaction data from your cards directly into your accounting software. With a Visa virtual card API, you can tag individual transactions for a simple way to categorize your expenses. For example, you could tag individual transactions according to their category. For example, transactions that were spent on fuel and car repairs could be tagged as transportation costs. Tagging your expenses can make it simple to place them into the correct categories and to find them later. This can make tax preparation, audits, and reconciliations much easier. Other important features to look for with a Visa virtual credit card API is the ability to update your billing information. You should also be able to preapprove transactions programmatically and issue cards that are authorized to make only the preapproved purchases. 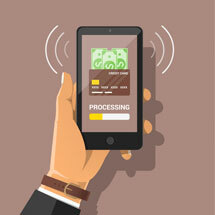 Your application programming interface should let you see your balances and your transaction data at any time. If you see that a card has been misused, you should have the ability to turn it off instantly. You should also be able to turn cards on and off whenever you need to do so. 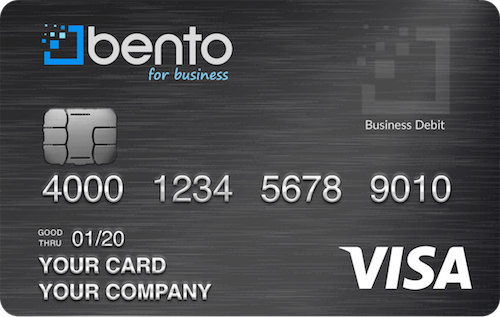 Bento for Business offers a Visa virtual debit card application programming interface that may offer more benefits to your company. You can generate as many Visa virtual debit cards for your employees as you need, and their purchases will not add to your company’s debt. You could give one employee a Visa virtual debit card that is authorized to pay for a new mower for your landscaping business. The card can be limited to the amount of your order and restricted to the merchant that you have chosen. If your employee tries to use the number to order a new purse online from a different merchant, it will not work. You will see the attempt and be able to address the issue with your employee. Bento for Business offers top debit card solutions to companies across the U.S. and has thousands of satisfied customers. When you apply, you do not have to submit to a credit check. These cards are not credit cards. Purchases made with Bento cards do not incur interest, and you will not be charged annual fees. Bento offers several affordable packages. Small businesses can order up to 10 cards for $29 per month. There is a 60-day free trial so that you can see how the cards work for you. To learn more, call 866.220.8455.